My simplest hoops! For those who are minimalists. These feature one small circle dangling from the simple ear wire. Circles are forward facing. Made from the finest silver available (999). Completely formed and fused by hand. Hammered for added texture and strength. 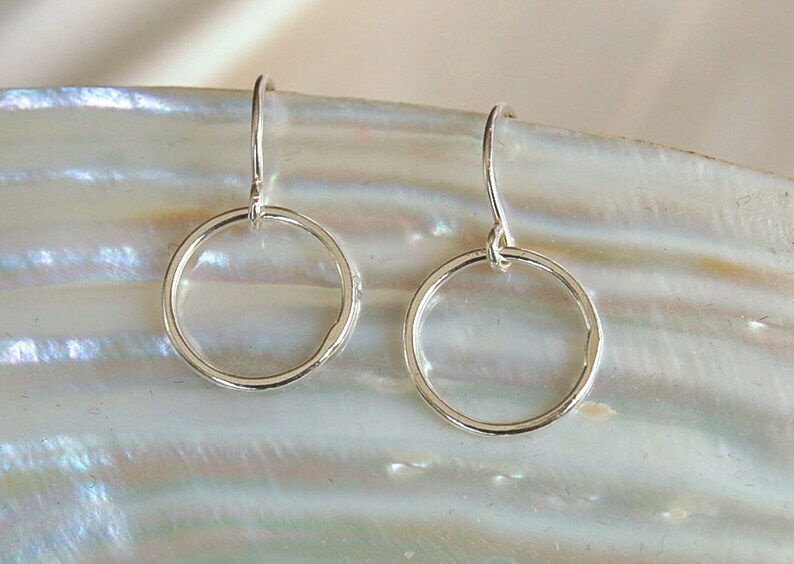 Ear wires are Sterling Silver. They measure approximately 1/2" in diameter.